Welcome to my Starflight: The Remaking of a Legend project blog! Allow me to start off by giving you a little background about me [Marvin Herbold]. I used to be a game programmer. Starting in 1996 and ending in 2010, I was a game programmer for much of that time frame. The first company I worked for was Bethesda Softworks. While I was there, I worked on several games, including Battlespire, Redguard, PBA Bowling 2, X-Car: Experimental Racing, and Burnout: Championship Drag Racing. The last game company I worked for was Rainbow Studios, which was a division of THQ. At Rainbow, I worked on Cars: The Video Game, Cars: Mater-National, Deadly Creatures, Dood’s Big Adventure, and several other unreleased games. So now you know I am a bona fide game developer with many published games under my belt. My specialty is the game engine which includes graphics, artificial intelligence, physics, sound, music, networking, and so on. It’s been 7 years since I have done any real game programming. Recently, I discovered that Unity Technologies have made their game engine available to hobbyists for free. I decided that it might be fun to get back into game programming by learning Unity. What better way to learn Unity than to remake one of my favorite childhood PC game: Starflight. Starflight came out in 1987. I was just entering high school. I was quickly amazed and enthralled by the planet generator that this game uses, and it was the source of much fantasizing and inspiration for me. This game is deceptively simple – after all, it shipped on only two 5 1/4″ floppy disks. I spent many man-weeks exploring the Starflight universe and wondering at the technical aspects of it. I never did beat the game. So, now that brings us to today and this website. I intend to chronicle my journey remaking Starflight with Unity, and sharing my experiences here. Hopefully, someone will get a kick out of this. I fully intend to give credit where credit is due for all the things that I find on the Internet that I can use either in the game or on this website. For example, I found the box art image, that is displayed here in this post, at Otherelectricities.com – an interesting web page. 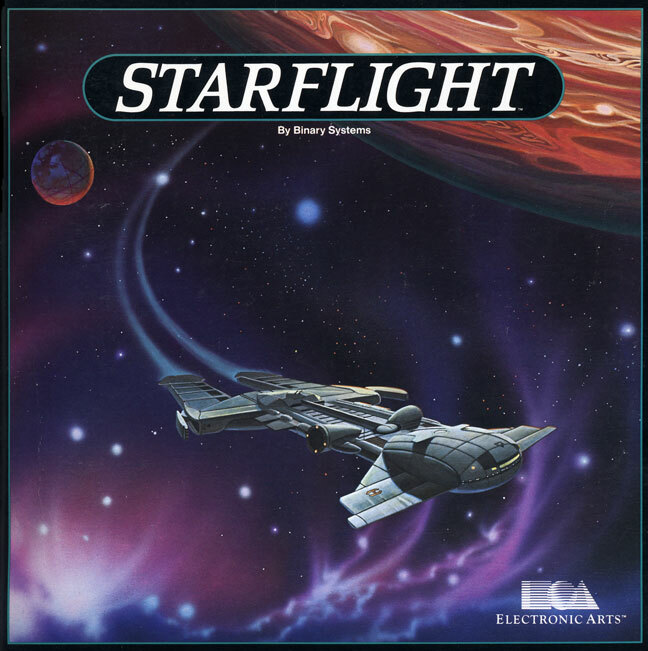 This is the exact box art for the version of Starflight that I have sitting on my desk, which I have had in my possession for 30 years. If you would like to contact me, send me email at bravearmygames@gmail.com .